Today I’m beginning a series on Gigabyte’s newest additions to the P55 family, the P55A-UD3R and the P55A-UD6, both of which feature two SATA 6Gb/s ports, and two USB 3.0 ports! 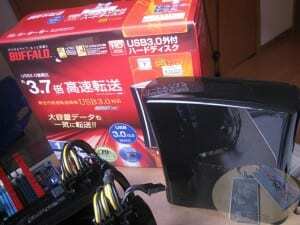 I recently tested one of the first P55 motherboards to hit the market from Gigabyte, the P55-UD3R. Please review my article HERE. A quick recap for those of you who missed it: I found it to be an extremely competent platform, perfectly well suited to overclock, but with lots of performance built in at stock settings as well, thanks to Intel TURBO. Gigabyte has not been resting on its laurels however, and today I’m beginning a series on their newest additions to the P55 family, the P55A-UD3R and the P55A-UD6, both of which feature two SATA 6Gb/s ports, and two USB 3.0 ports! 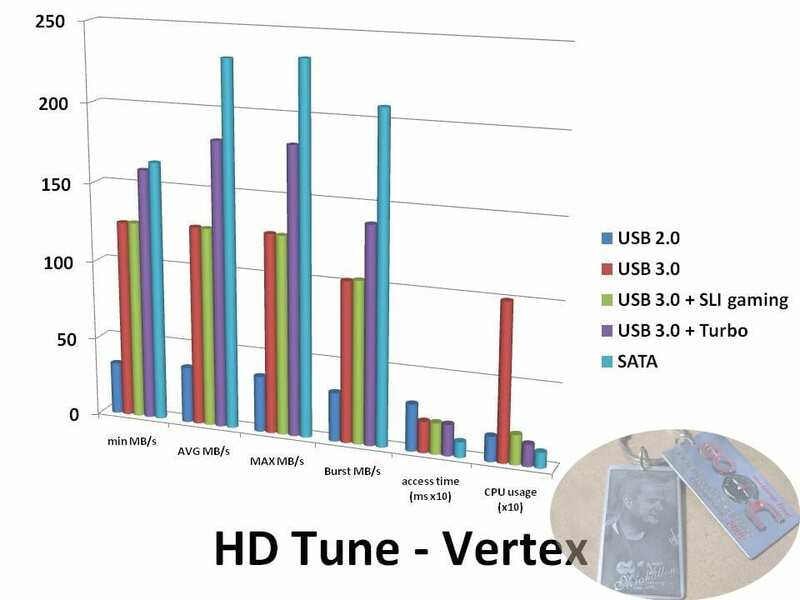 Although I do not have a SATA 6Gb/s drive to test performance of the new interface, part one of my investigation is an exploration of the new USB 3.0 interface using the UD6 motherboard. 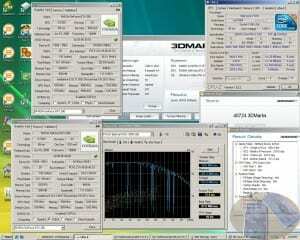 These tests do not involve extensive or extreme overclocking. 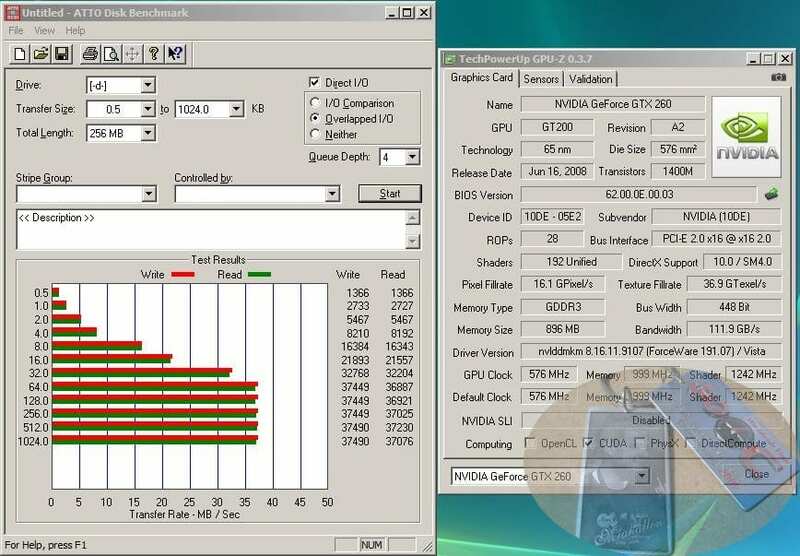 I’ll be looking more at the overclocking potential of these boards very soon. First, I’d like to cover a couple basic differences between USB 2.0 and SuperSpeed USB (from here forward referred to as “SSUSB”). 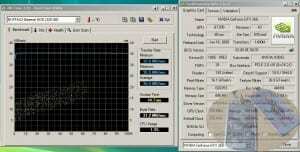 The first and most obvious difference is the bandwidth. USB had a theoretic bandwidth cap at 480Mb/s (60MB/s), but realistically you’d only get a maximum of about 300Mb/s (38MB/s), or roughly 63% of the theoretical maximum. 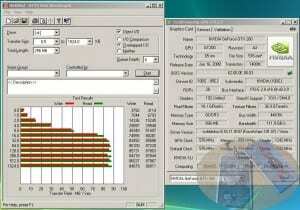 SSUSB raises the bar to a whopping 5Gb/s (625MB/s). If we apply the same 63% to that figure, we come up with an expected limit of 3150Mb/s (394MB/s) which would easily provide the bandwidth needed by any current generation USB device. The second major difference for the SSUSB specification calls for more power! As in, a higher supply current for the connected device. 500mA (the USB 2.0 amount) was barely enough for the average 2.5″ 5400RPM drive to operate (most need about 450mA), but to get them spinning often took a special USB cable that allowed the device to draw current from two of the PC’s USB ports, allowing 1000mA. 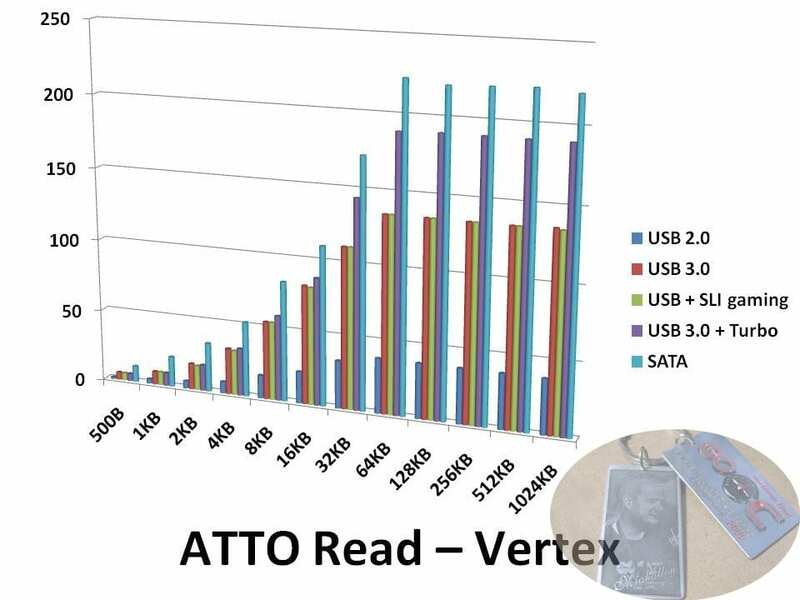 However, this is a fairly clumsy approach for most people, and so many 2.5″ drives avoid 5400RPM disks and stick to 4200RPM models instead. SSUSB raises the specific output to 800mA which is plenty for running a typical 2.5″ 5400RPM drive. Gigabyte decided not to stop there. Why not allow users even more flexibility and provide the current they really need? 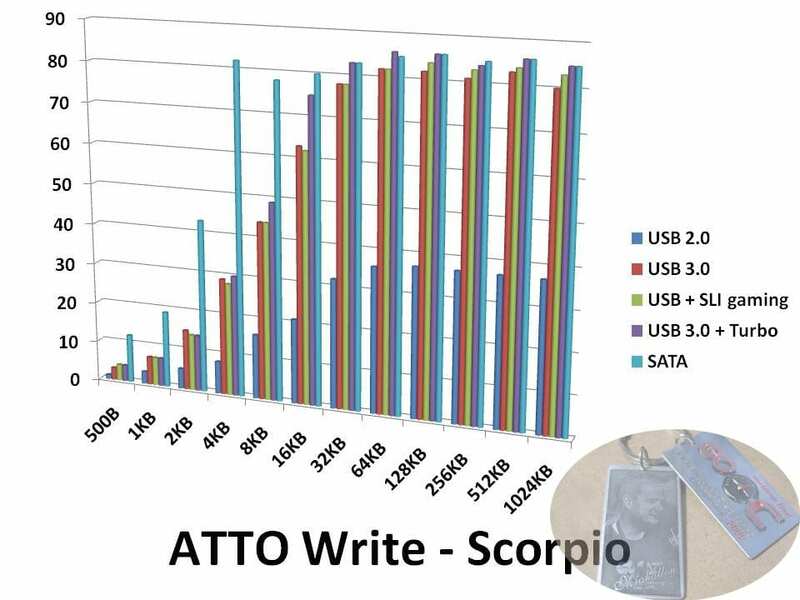 So every P55A board with SSUSB technology will be capable of supplying a whopping 1500mA (1.5A) to each SSUSB device! 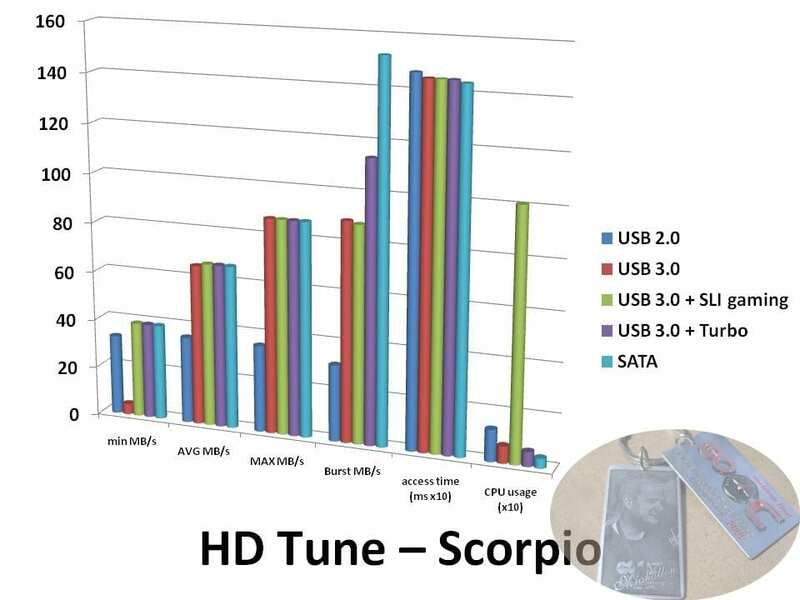 “There are two ways that our USB/SATA 3.0 works: one way is Turbo mode where it uses PCI-E lanes to communicate directly with the CPU for best performance. The other way is through the P55 chipset where it is limited to PCI-E gen 1 speed (2.5Gb/s) – when turbo mode is disabled. The point is that Gigabyte P55A boards are all about options: we provide options for the user to decide if he wants 5Gb/s SSUSB for high-speed backup or if he prefers SLI/CFX while still enjoying USB/SATA 3.0 – albeit at a lower speed. And in auto mode the system will decide for the user, i.e. 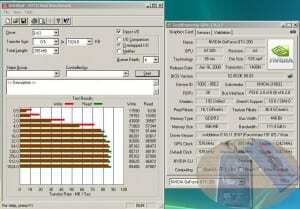 if there is a 2nd VGA card then SLI/CF takes precedence, but if there is only 1 VGA card and a device is plugged into a USB/SATA 3.0 slot then superspeed data transfer takes precedence. – source in Gigabyte Co. Ltd. 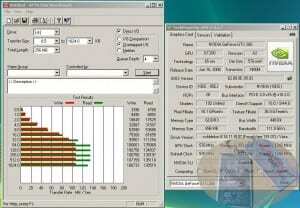 This drive represents a moderate capacity, fast mobile drive. Right now, a drive like this requires too much power to be used in a USB 2.0 application without a separate power source. However, I suspect they will become commonly used in conjunction with the advancements brought with the SSUSB standard. 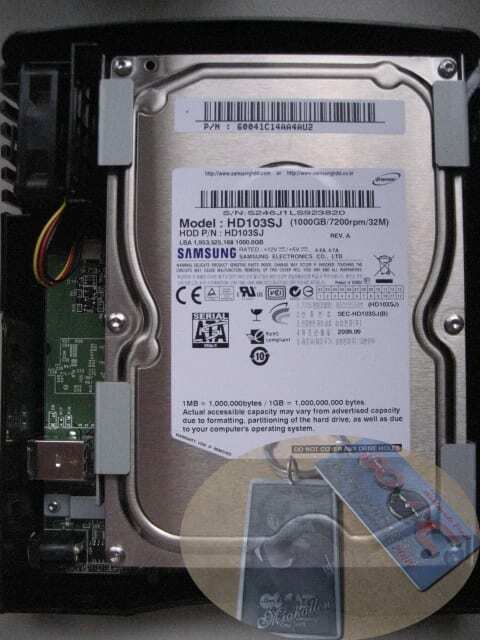 This drive represents an external storage solution. 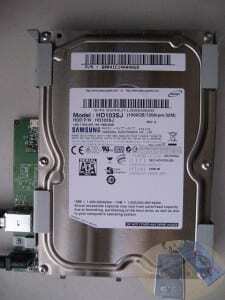 This type of drive is typically used in external scenarios for data backup and for media storage. In both cases, bandwidth plays a big role because of the volume of data that need to be moved. 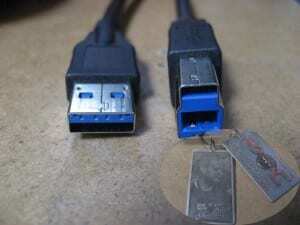 This has become a sore spot for USB 2.0, and I believe represents the largest usage model. So, I set out to answer a few different questions. First, and most obvious, does USB 3.0 show a worthwhile upgrade over USB 2.0? 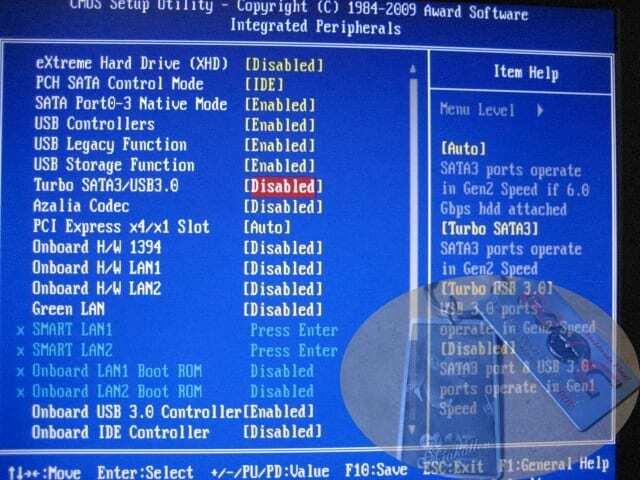 Secondly, what’s up with this whole “Turbo” mode for the SSUSB implemented on the Gigabyte motherboards? Thirdly, and most controversial on the forums right now, will SSUSB really take away from my graphics card bandwidth? Interested? Read on! After disassembling the casing and gutting the Spinpoint from inside, I proceeded to test each of my three drives in five different configurations, with two different tests. That’s a total of 30 different tests. If you’d like to browse all of the screen captures, please feel free to do so. However, I’ve attempted to sum up the data in the following charts. 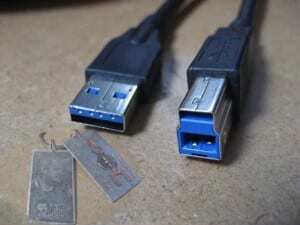 USB 2.0 – I just plugged into one of the USB ports on the motherboard that did not support USB 3.0 and tested from there. 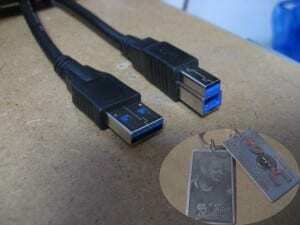 USB 3.0 – I plugged into one of the two available SSUSB ports on the motherboard. 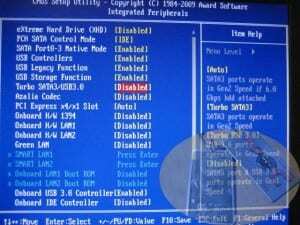 In the BIOS, I had SSUSB Turbo set to “Disabled”. 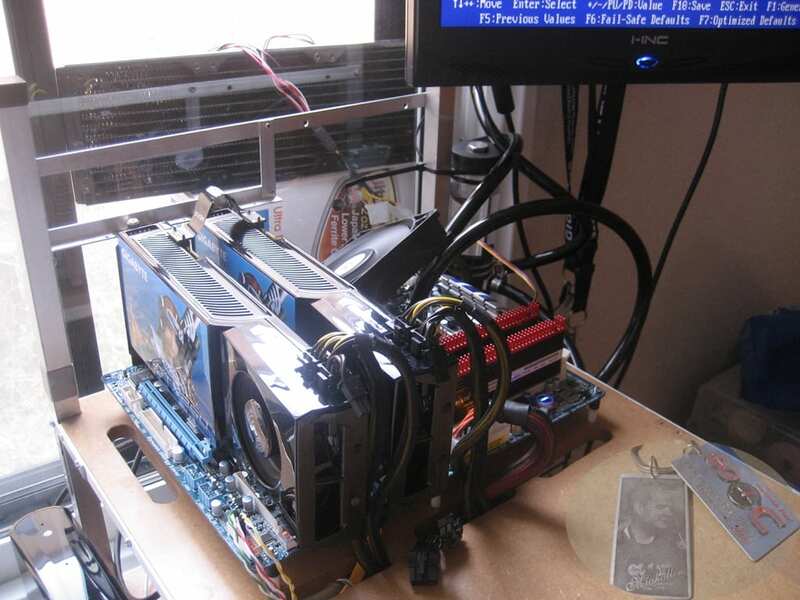 USB 3.0 + SLI gaming – Here I plugged in a second GTX 260 and configured them for SLI operation. 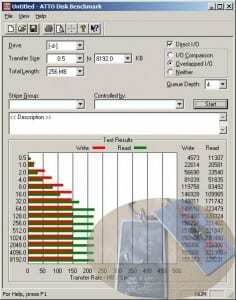 Immediately after starting the HDD benchmark, I would also start the three gaming tests in 3DMark 2003. 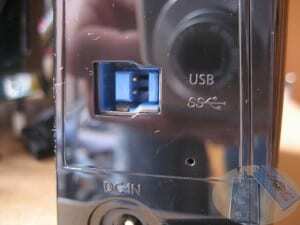 USB 3.0 + Turbo – I plugged into one of the two available SSUSB ports on the motherboard. In the BIOS, I had SSUSB Turbo set to “Turbo USB 3.0”. 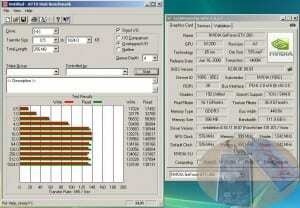 SATA – I plugged each drive into an available SATA port controlled by the Intel P55 chipset. First up we have the Western Digital Scorpio drive. It is one of the latest and greatest standard 2.5″ drives for the mobile market. 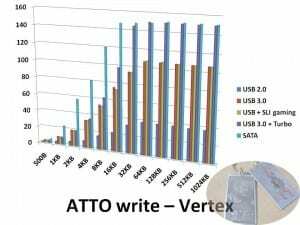 Whether in your laptop, in use as an external storage device, or in use as a quiet desktop drive, it is great for reasonable capacity, low power, low noise, and decent performance. 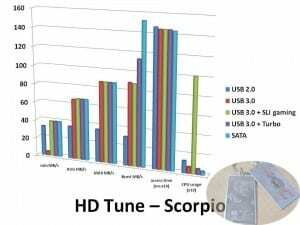 The first thing I’d like to point out about the Scorpio drive is in the HD Tune tests. You can clearly see that SSUSB (with and without Turbo) and SATA are similar in the bandwidth tests. You do see the Turbo mode, and the SATA interface pulling ahead only in the burst measurement. I’d also like to point out the low MIN MB/s in the SSUSB measurement; I’ll call it the “SSUSB bug” for reference. I’m going to mention this a few more times in this article before I get into details. It’s also nice to see that the CPU usage doesn’t go up at all for the new SSUSB standard- in fact it even drops a bit. In both of the ATTO tests, you can see that the Scorpio drive itself seems to be the limiting factor in all but the very small file sizes, while we see the SATA interface gets a substantial boost. 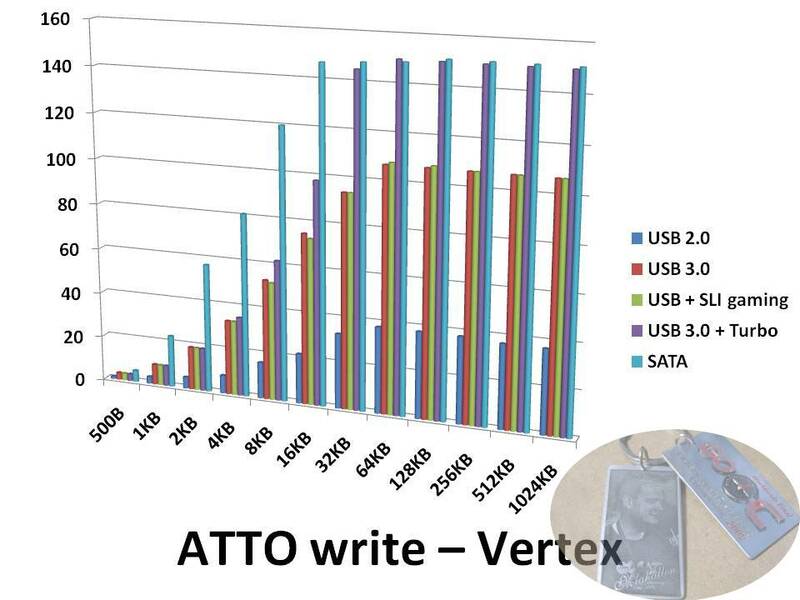 However, clearly with medium to large files sizes, the USB 3.0 tests are just as fast as the SATA tests. You’ll also see erratic performance in the SSUSB mode once again due to the SSUSB bug. Next up is the Samsung Spinpoint F3 drive. This drive brings some serious capacity to the table. With the price of a terabyte dropping to less than $100 this year, we have seen media libraries growing like it’s going out of style. Everyone has tons of digital content these days, and the demand for these super drives won’t seem to let up. 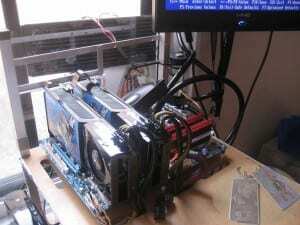 This one is well know and respected for it performance and low cost. 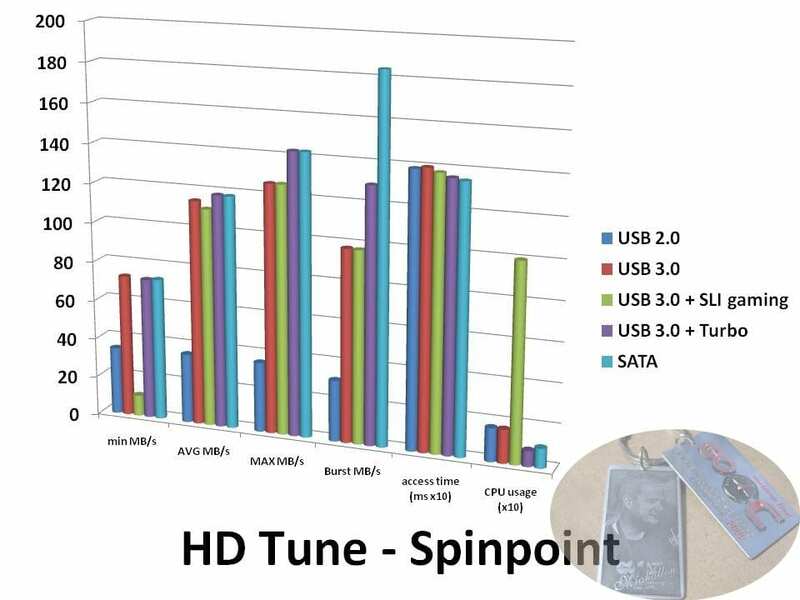 Unlike the Scorpio, the Spinpoint does show some benefit of the Turbo mode and the SATA interface in the HD Tune bandwidth test. Here we see a small increase in the maximum and the average measurements. 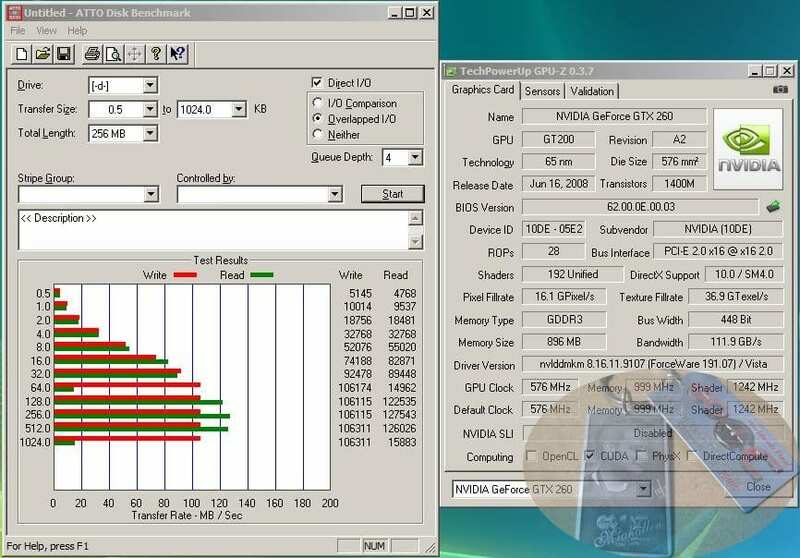 The burst measurement shows an even more impressive improvement, where turbo mode is able to close the gap in half between normal SSUSB and SATA. 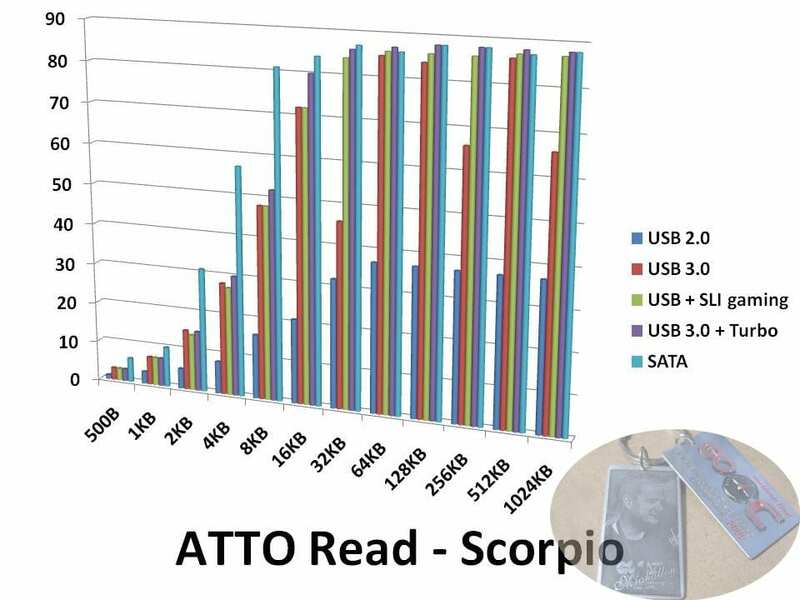 In the ATTO tests, we see a commanding lead by the SATA interface in the smaller files, but again, we see the SSUSB, and more impressively, the turbo mode being every bit as capable with larger file sizes. 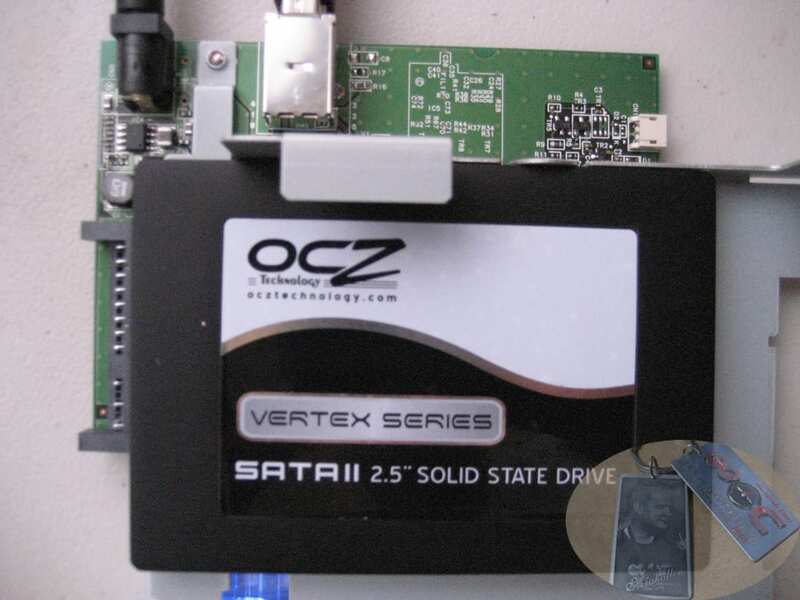 Last up, the OCZ Vertex. 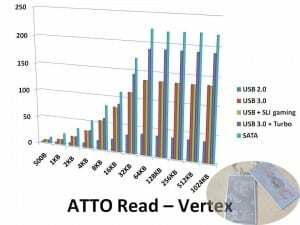 This is the first SSD to hit the market that really started to create a buzz, in a positive way. 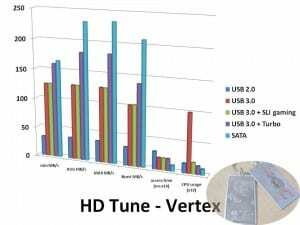 The reason was simple, the Vertex was the first line of SSDs to use the Barefoot controller from Indilinx, which proved to the industry that SSDs could have great performance using the cheaper MLC type of NAND flash memory. This is where things start to get exciting, and a little disappointing. Let’s start with HD Tune again. The average column is what my eyes are drawn to right away. 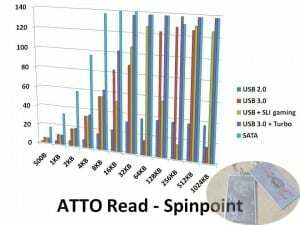 I would think that here, SSUSB and Turbo mode should be higher, closer to the SATA specification. By my calculation, SSUSB should be good for over 300MB/s right? 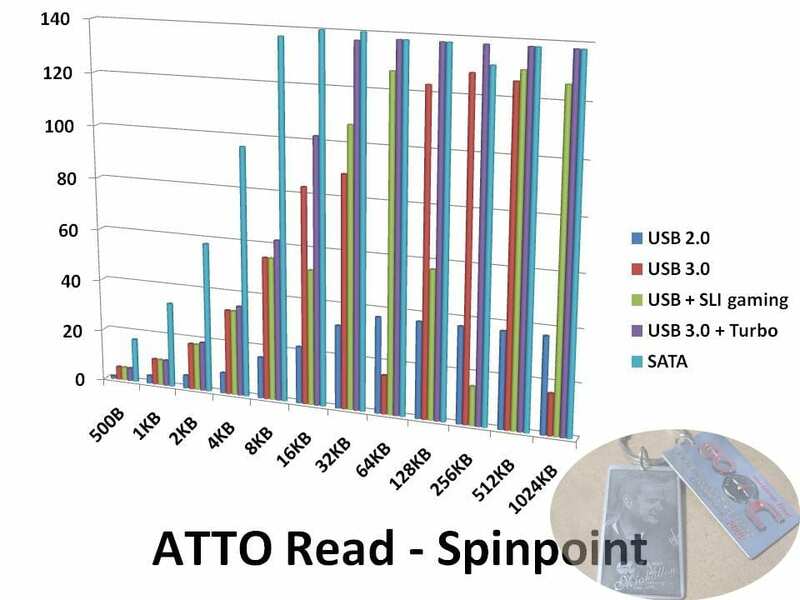 Looking at the ATTO Read test we see the same thing, with the SATA spec consistently out-pacing the USB interfaces. So what’s the good news you ask? 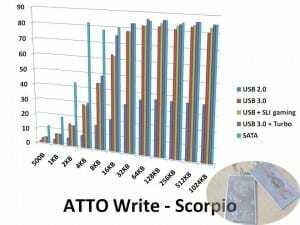 The ATTO write test shows the SSUSB Turbo interface matching SATA in the larger file sizes once again. Pretty impressive to me. SSUSB + Turbo & SLI Gaming….what??? I wanted to go into a bit more detail on this test. Going back to the quote from Gigabyte above, …”one way is Turbo mode where it uses PCI-E lanes to communicate directly with the CPU for best performance. The other way is through the P55 chipset where it is limited to PCI-E gen 1 speed (2.5Gb/s) – when turbo mode is disabled”… I have seen around the web some concern over this implementation, so I wanted to give some examples over performance with the system bandwidth stressed. My testing is by no means exhaustive, and more investigation may need to be done. Going back to what we know about the Lynnfield architecture is that the PCIe controller is built into the CPU itself, and there is a total of only 16 lanes. 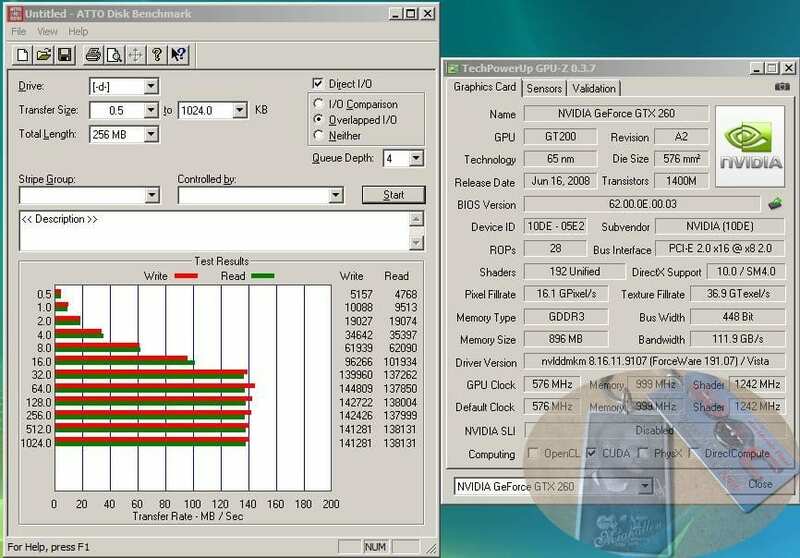 That means if you have a single graphics card, it will perform best if it can use all 16 lanes, and if you have dual cards, you’d be running with 8 PCIe lanes to each. 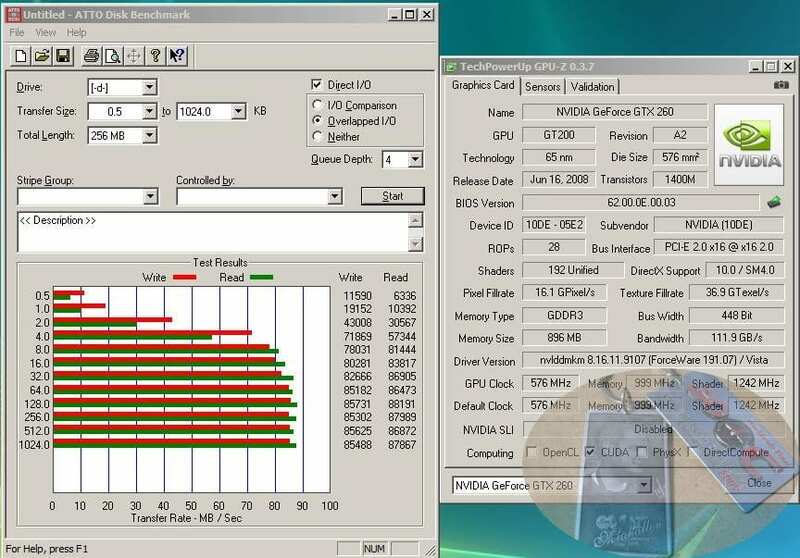 Gigabyte really didn’t want to force users into degrading their graphics performance by only allowing the SSUSB controller to use one of the CPU’s PCIe lanes. 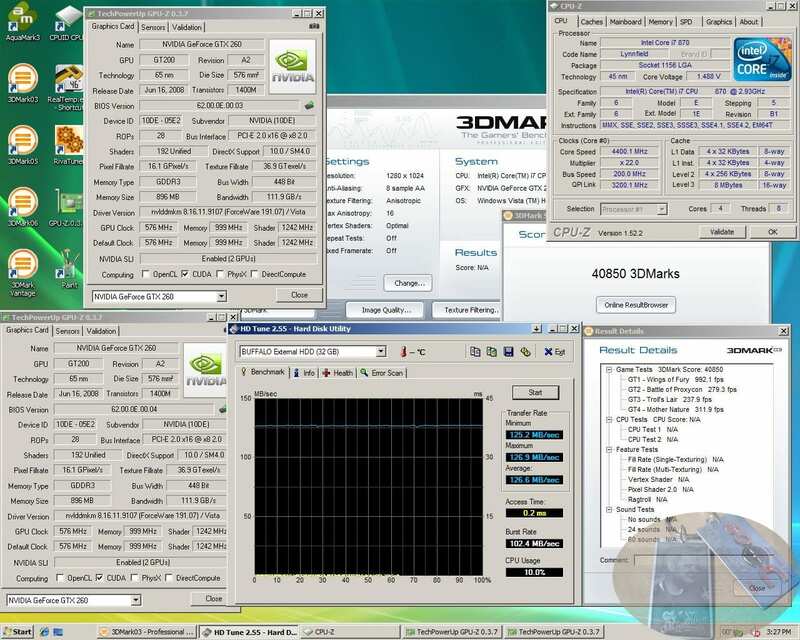 Instead, they decided to link it to both the CPU and to the P55 chipset which supports a single PCIe 1.1 lane (2.5Gb/s limited). This is where “Turbo” mode comes in. If you have an external SSUSB SSD and want maximum performance from it, use Turbo mode and the SSUSB controller will use one of the 16 PCIe lanes on the CPU, slightly deteriorating the graphics performance, but allowing maximum throughput to the SSUSB connected devices. 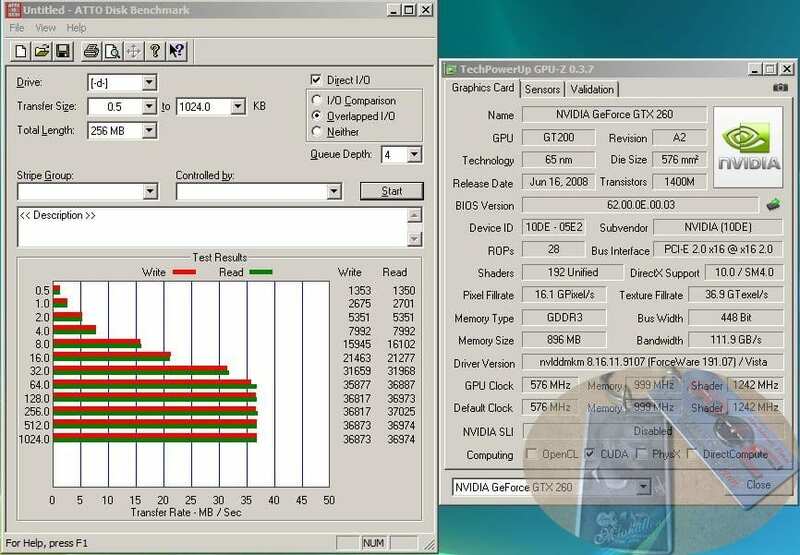 If you are more concerned with maximizing your graphics performance, and don’t need the extra SSUSB throughput, or if you have a slower SSUSB device like the HDDs in my testing, turn off Turbo mode, and use all 16 PCIe lanes on the CPU for your graphics cards. I’ve heard a bit of grumbling that Gigabyte made a bad decision here, but I honestly cannot see a better way to implement this technology, and I applaud Gigabyte for leaving the decision in the hands of the user for deciding what performance should take priority in their system. For those users who do not want to compromise performance for any device, they should be looking at a system based on the Nehalem (X58 & LGA1366) architecture anyway. For a budget friendly system based around P55, this should make everyone happy. The purpose of my testing here was to show that although no single component of the system is performing with 100% of it’s potential bandwidth, performance is still excellent, and SSUSB is still a massive improvement over USB 2.0! As I mentioned a few times above, I did have some inconsistent results when in SSUSB non-Turbo mode. 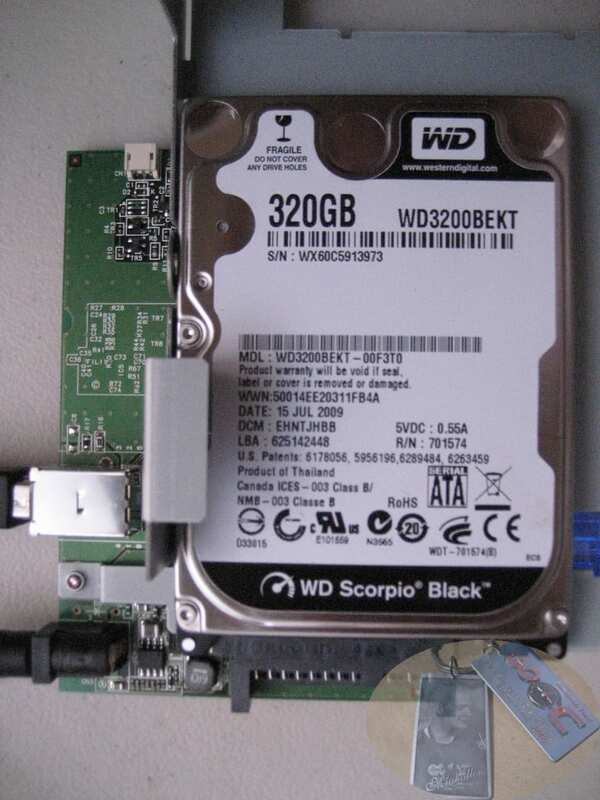 First let me describe the symptoms; when using any of the three storage devices, I would have to completely disconnect the Buffalo controller from SSUSB and power before trying to connect a new device to the PC. Otherwise the indicator light on the Buffalo controller would flash red (in Turbo mode, the drive would not be recognized correctly, and the OS would request that I reformat the drive). The other big issue was getting the SSUSB port on the motherboard to even recognize that I had plugged something into it. Often, I would have to switch from one SSUSB port to the other to get the device to recognize after swapping a drive. This problem was not 100% consistent either though. After getting the device properly connected and recognized by the OS, I would begin my testing. What I found was large drops in performance accompanied by an audible click and the sound of the drive spinning down, as if the drive lost power. This drive would immediately regain power and continue the test, but the results would suffer. The occurrence was very random, and sporadic. 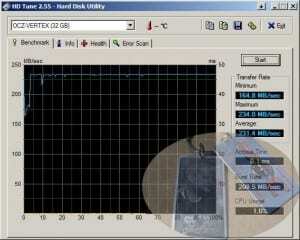 With the Vertex drive, the benchmark would freeze, and so I was unable to end the process with the task manager. 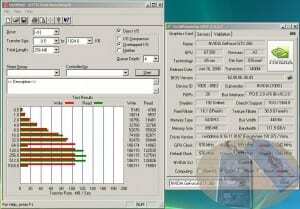 My only option to regain control of the system was to unplug the vertex or the Buffalo controller. 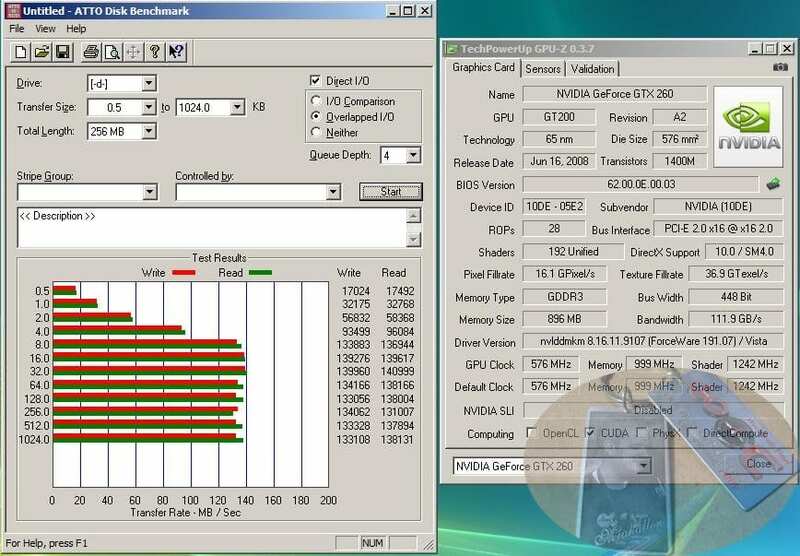 It took me about 10 tries to get each one of the benchmarks to pass with the Vertex drive. It was frustrating, but eventually I got a run off in each test. The HDD tests would complete, so I did not bother to try for a run that didn’t show errors, so that you guys could see what was going on here. I spoke with Gigabyte, and they said they had not experienced any similar problems. Hopefully this is an isolated incident, but I get the impression it may just be an NEC SSUSB and/or Intel P55 driver issue that needs to be worked out. Time will tell, and if I find a reliable solution, I will update this article. While I still have a lot of testing to complete with these new motherboards from Gigabyte, I didn’t want to keep these SSUSB results from the user community. This technology shows impressive potential for the speed we need out of the next generation of externally connected devices. Hopefully, the adoption of this new standard will be as swift as it has been with the previous USB generations. Thank you to NEC and to Gigabyte making this new technology available to us as quickly as it has. I’ll finish off by saying thanks to Gigabyte Japan for their samples and support. Gigabyte Co. Ltd. has really been communicative with me and the enthusiast community, building the components we crave with the options and features we are asking for! Kudos to Gigabyte, and Gigabyte Japan! 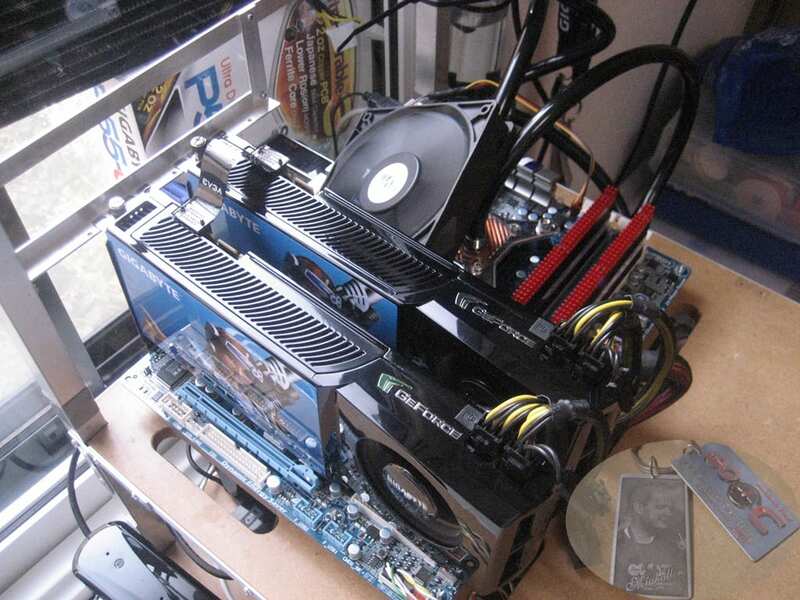 Questions and discussion of this article are on Overclockers Forums, join in!